Slide lecture by author/photographer James Fraher reading quotes from the interview subjects as the audience views slides of the musician portraits. Experiences photographing over 100 blues musicians are shared. This lecture has proven a successful part of many music-related programs at blues festivals, cultural centers and academic institutions. A blues photography, music and oral history performance piece. Author/photographer/musician James Fraher weaves stories about meeting and photographing blues musicians along with their spoken words, performing some acoustic guitar blues while his blues photographs provide a backdrop to the setting. Photographic artist James Fraher exhibits work from his career in photography. This exhibition features selected images from a variety of work including nature, abstractions, landscape, people and portraits. 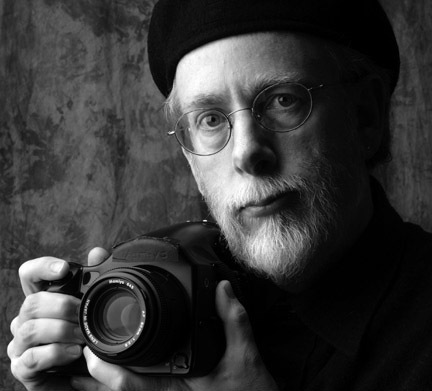 James Fraher will share his experiences of photographing in Ireland over the past 30 years. Lecture highlights include James's account of participating in the book projects A Day in the Life of Ireland and Stories from a Sacred Landscape, published in 2006. From peat bogs to horse fairs, rag bushes to traditional music, from grave slabs to artist interventions, with a passion for tradition and a sense of place, it’s all part of one photographer’s journey. James Fraher is available to teach workshops covering his approach to photographing people for editorial, marketing and documentary projects, including performance photos and music cd covers. The workshop covers location and studio approaches, lighting techniques, films, subject rapport and photographic equipment for producing successful people photographs. James Fraher teaches students how to create documentary photographs and interview musicians in their communities.